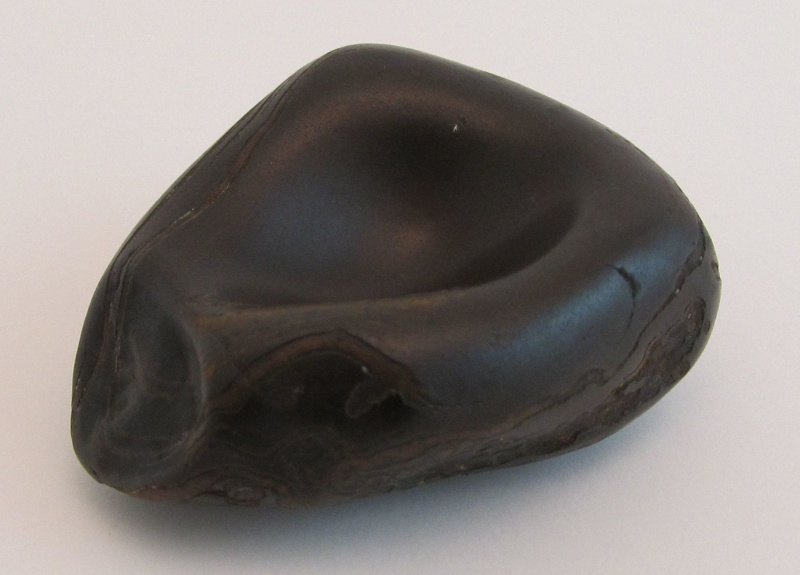 Piece of brown/black rock – oval in shape. Naturally worn, probably a concretion of which the softer middle area has been worn away. Possibly volcanic in origin. The rock is very smooth with one side rounded. The other side is hollowed out to form a small bowl shape with sides. Also one side of the bowl shape has a flat end. Mrs E Sutherland, Lister House, Waimate.